What you see above is the residue of this blog getting hacked earlier this year. I’m leaving it there as a reminder that even something as innocuous as a golf blog by an amateur golfer can get payed upon. Oh, well. I do have a backup of the piece, but I’m deciding to re-write it instead. To have a chance at a par, your shot into the green has to get there. It has to arrive. Where it’s appropriate, for shots you intend to hit the green, be they approaches from the fairway or pitches from closer in, play to hit the ball past the pin. This is the scoring zone. Most greens are deeper than you think. If you think you have a 6-iron to the pin, hit the 5. That choice guarantees you will fly the hazards around the green, which are usually in front. It allows for hitting less than your best shot, which is the shot we hit maybe 90 percent of the time. Not to mention, since you are holding the longer club, you will be less inclined to try to hit table hard. That will help you have an easier, smoother swing, and a greater chance of a good shot. True, some greens that are so steep from back to front that hitting the ball past the hole is the last thing you want to do. But that’s an exception. “… there is just as much space beyond the flag as in front of it. When you watch players approach to green from the side it seems ridiculous that they’re constantly short. One time, play a round where all day you pick your club into the green as you normally do, but then use one more club, and see what that gets you. Hitting the ball at the green, instead of to the right or to the left, will be a problem we face with every shot. Hitting it far enough should never be. Just use enough club. Arrive. * Vivien Saunders, The Golf Handbook for Women, p. 180. Brandel Chamblee says quite emphatically that the longest drives come when you hit down on the ball. Rory McIlroy begs to differ. 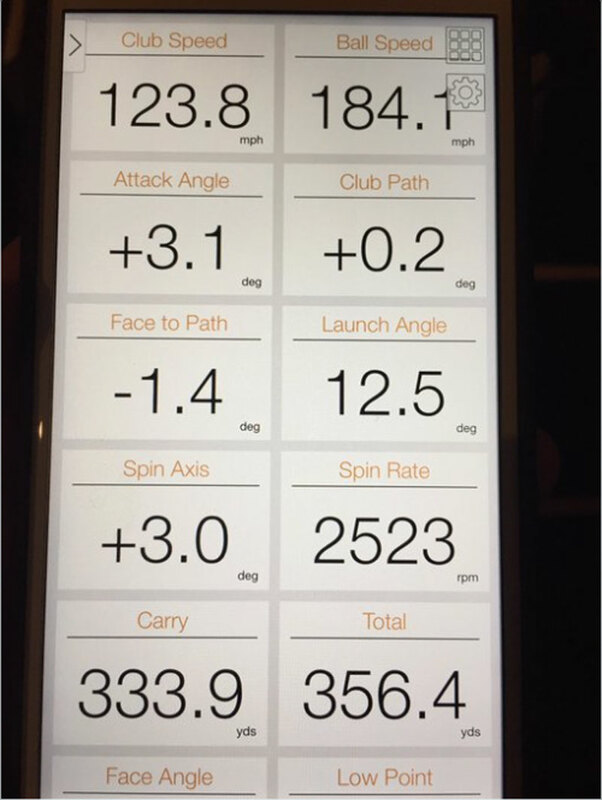 This is his trackman data which he tweeted. Amazing. And, yes, you hit up (Attack Angle) with a driver, not down. One of the most difficult things to do is to begin a motion smoothly from a complete stop. 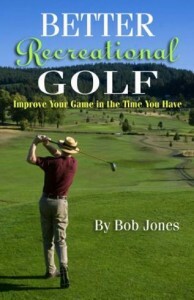 In golf, we want to take the club away without a jerk or without putting tension in the body. At one time, the way to do this was to have a forward press. This would be a slight movment toward the target that the backswing could play off of, hopefully in a rhythmic way. The trouble with a forward press was that unless it was done carefully, it could get the golfer and the club out of position before the club was taken away, to the detriment of the shot that followed. Now days we don’t hear much about forward presses. If you watch the professional golfers, you don’t see very many of them with one. I guess that move is out of favor. But the problem remains. How do we solve it? By having a forward press that is more in the mind than in the body. This is what I think we should do, ideally: start the swing with a reverse waggle. Instead of taking the club back, with just then hands and wrists, like a traditional waggle, raise the clubhead a bit and swing the club forward, toward the target, by the same amount. Then flow right back into the backswing and come down into the ball. That makes the swing a three-step movment, not two. 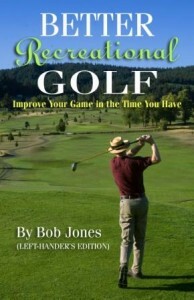 It sets you up with perfect rhythm, and keeps you relaxed throughout the swing. Unfortunately, since the club is not next to the ball at the start, it might be difficult to find the ball accurately at impact. But you can take a practice swing like that, if you want to. It’s not unheard of. Then, address the ball, and do the reverse waggle in your mind, and, following the same rhythm as in the practice swing, take the club into a relaxed, flowing swing. It’s still a three-part swing. You merely did the first part in your mind. If you try this, you might find your body responding to the initial mental movment in some way. That’s O.K., just ignore it. Focus on the mental feeling as you get your swing started. Another benefit of the mental forward press is that it will take your mind off any anxieties you have of the shot you’re about to hit. Anything that helps you in that department is all right. I put up fifty-two posts in 2016. 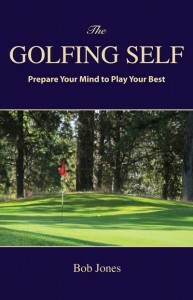 Not counting the four for the major championships previews, I gave you forty-eight ways to improve your game. Well, maybe not so much as that. Sometimes I know I’ve come across something that truly works and will make a big difference. Other times I look back and say to myself, What was I thinking? But because it will be very difficult for you to go back and find the good ones, I’ve done it for you. These are the best posts of the year, the ones I think will help you out the most in hitting better shots and lowering your score.